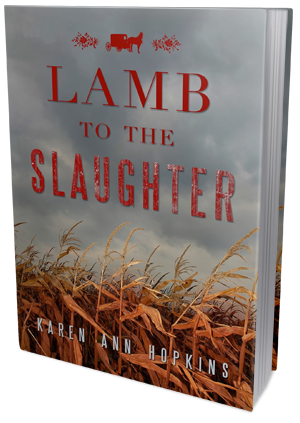 Today I have the pleasure of welcoming author Karen Ann Hopkins to the blog as part of a blog tour for her latest novel, Lamb To The Slaughter. We also have an awesome giveaway for you guys, so after reading Karen's great guest post and checking out Lamb To The Slaughter be sure to scroll down and enter! In this day and age of advancing technology and fast moving hookups and breakups, relationships are more difficult than ever. There’s a cynical attitude by many people, both female and male, entering into a romance nowadays that it’s not going to last forever. When you add on the availability of online dating services and social networking, there’s a constant supply of potential mates, which has created a very picky dating pool. This atmosphere has taken some of the sweetness out of romance. Yet, even as we’ve adapted to the ever changing dating climate, I think there’s still a little part in each of us that yearns for the simplicity and honesty of a good old-fashioned romance. The Amish still hold that promise within their culture and that’s what makes an Amish romance captivating to many of us. But things aren’t always what they seem. I’m going to take this opportunity to tell you about the realities of Amish romance and more specifically, what it’s like to court Amish style. Yes, there is still a place in the world where the process of a boy and a girl getting to know each other is called ‘courting.’ In Amish communities throughout the Midwest and stretching into other regions of the United States, dating is called courting and breaking up is referred to as ‘quitting’ each other. must choose another Amish member or they’ll get into heaps of trouble as seen in my YA Temptation series where Noah, an Amish teen, falls for Rose, an outsider. The boys and girls of a community spend their entire lives together; meeting as toddlers, going through school together until the eighth grade and participating in church and weekly youth activities, such as singings and volleyball or softball games. Each community has its own set of courting rules. For instance, the community that I live in has a-hands-off courting policy. This basically means that a couple will get in HUGE trouble if they get caught holding hands, kissing or going any further physically within the relationship. Punishment includes reciting their sins before their entire community on Sunday and possibly being ‘shunned’ for a length of time, usually lasting one to six weeks, depending on the conduct. Shunning is especially painful to the couple, because it means they won’t be able to see each other until the time is up. Other communities are a bit more relaxed on the matter, but Amish teens are always held to a high standard when courting. This doesn’t mean that couples aren’t getting a kiss in here and there or even going much further into a physical relationship, but they are watched carefully and learn early on to either abstain completely or be extremely stealthy in their liaisons. I’ve witnessed many teens go through the process of courting and each couple eventually married. In the end, they were in love and happy…and isn’t that what we all strive to achieve in a romance? Even though Lamb to the Slaughter is a murder mystery, I still wanted to spice it up with some of that good old fashioned romance that I mentioned earlier. And I must say, Lamb has its fair share of love, almost love and love lost. At the heart of the story is Naomi. She’s a pretty young Amish woman with a rebellious spirit. She’s also in love with two boys. One is her handsome and upstanding Amish beau, Eli. The other is Will, an English (non-Amish) teen, who captivates her with his fun and easy going manner. Of course this situation doesn’t end well. 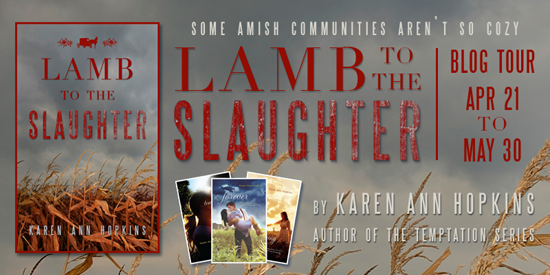 See for yourself the appeal of an Amish romance in Lamb to the Slaughter and take a nail biting roller coaster ridealong the way! Thank’s for having me at Evie Bookish today! I love to hear from readers and answer any of their questions (especially the Amish related ones)! 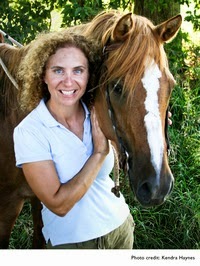 Please contact me on Facebook, Twitter, Goodreads or visit me on my website at, www.karenannhopkins.com. I also have a special giveaway going on right now that I’d like to share with you. If you purchase Lamb to the Slaughter on either Kindle or Nook, you can be entered in a giveaway for a three book autographed set of the Temptation series. It includes copies of Temptation, Belonging and Forever! All you have to do is personally contact me on FB, Twitter, Goodreads or my website and let me know that you’ve purchased Lamb and I’ll get you entered. The drawing will be held on May 30th in conjunction with blog tour ending. This is a separate giveaway from the Rafflecopter above. Happy reading!